A teenager has died in the custody of police after being detained by security staff at a shopping centre. 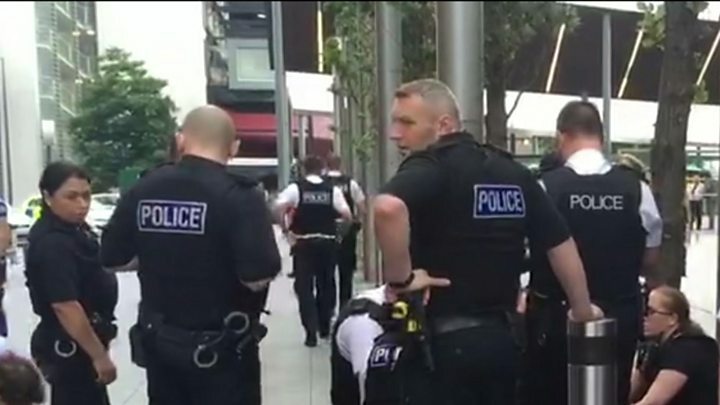 Mzee Mohammed, 18, was seen with a knife "behaving erratically" at Liverpool One before officers were called to the scene. His mother Karla told the Liverpool Echo her son was a "gentle giant" and she believed police and security staff had "questions to answer". At the family home in Kensington, Mr Mohammed's mother said her son had "a troubled past" but "he got past that". He had no pre-existing medical conditions, she said. A Merseyside Police statement said a man had run into a house in the Toxteth area of the city in "a distressed state". Later, a man was seen with a knife "behaving erratically" at a number of locations in the city centre, it added. Officers located him near Liverpool One where he was detained by security staff. Police said the man was "suffering a medical episode" and was taken to hospital but was pronounced dead at about 19:55 BST. As with all deaths in custody, Merseyside Police's professional standards department was obliged to notify the IPCC of the incident. 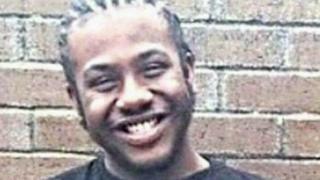 Inquest - a charity which provides advice to people bereaved by a death in custody - said there needed to be "the most thorough and robust scrutiny of the actions of the security guards and the police" who were in contact with Mr Mohammed before his death. His family must be supported to find out how and why he died, a statement added. Race relations activist Lee Jasper, said: "I don't think anybody has got any confidence in the IPCC to investigate these critical incidents. "The IPCC needs to be transparent and engender trust and confidence in the wider community." Merseyside's Police Commissioner Jane Kennedy said the IPCC investigation would "examine the full circumstances of what happened". The young man's family can take some comfort from knowing it will answer any questions that they may have, she added. "Merseyside Police and I will do everything in our power to ensure the man's loved ones and the local community are fully engaged. Merseyside Police and community leaders in Liverpool 8 have worked hard to build a strong relationship based on mutual confidence and trust."